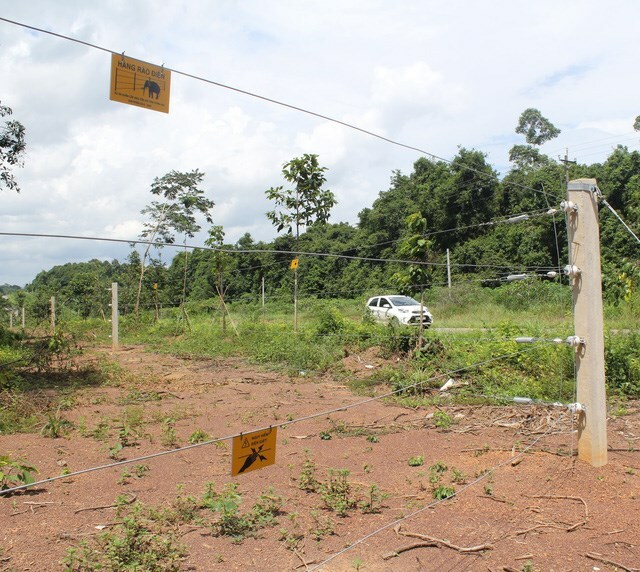 Dong Nai (VNA) – A 50km long electric fence has been put into operation on a trial basis to prevent wild elephants from wandering into residential areas in the southern province of Dong Nai, according to the provincial Forest Protection Sub-Department. The 2.2m high electric fence runs across Vinh Cuu district’s Ma Da and Phu Ly communes and Dinh Quan district’s Thanh Son commune,. Electricity is regularly switched on and off every one third of a second, which helps keep the elephants at bay while not inflicting harm on them. Along the fence there are many gates for local residents to pass through. The fence was built at total cost of 85 billion VND (3.7 million USD) sourced from state and local budgets.